Sen. Bob Menendez (D-NJ), a member of the Senate’s “Gang of Eight,” told liberal activists at the Center for American Progress (CAP) on Wednesday how the Democrats plans to enact amnesty for the 11 million illegal immigrants: Get the House to pass whatever immigration bills it likes, then go to “conference” with the Senate bill. As Breitbart News reported this weekend, conservatives fear that House Speaker John Boehner and Majority Leader Eric Cantor, and other members of GOP leadership, will use a conference committee, either advertently or inadvertently, to pass an amnesty. In conference, representatives for House GOP leadership would negotiate with Senate Democratic leadership, and possibly the White House, on what they would call a “compromise” on immigration reform. Conservatives worry that the legislation that would come out of conference would look more like the Senate bill than not or, worse, potentially be exactly the same as the Senate bill. 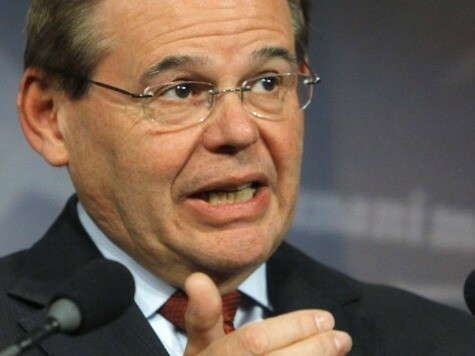 Now that Menendez is asking CAP activists to help get him and rest of the Gang of Eight there, it is becoming clearer that is the left’s end game on the path to an amnesty.